Platinum Play is Canadian friendly online casino established in 2004, and is controlled by the Fortune Lounge Group. Platinum Play is licensed in Malta and is operated by a company called Digital media Limited and is powered by Microgaming software and offers more than 600 casino games with over 400 of them are online slot games. If you are wanting to go to a casino, then online casinos is perfect for your entertainment. The online casinos offer many of the same games as the real casinos a without having to leave your home, to play instantly without any download with just a WIFI or internet connection. You can play the casino games at Platinum Play Mobile from any cell phone device be it Android or IOS. That means that you can play the games you want when you want to no matter where you are at. As long as you have a cell phone device, you can access the mobile casino. Platinum Play Mobile allows its player to have access to hundreds of different games and the chance to win real money. When you combine the opportunity to play casino games anywhere you want with the great promotions that Platinum Play Mobile offers, it is easy to see why the mobile casino market is growing. Platinum Play Casino uses Microgaming software and offers over 600 high quality casino games to all the players. Players can play games by either downloading the software or through Instant Flash version on their cell phone or tablets. Platinum Play casino offers everything from Single-hand Blackjack to Multi-hand Blackjack, and even the Gold Series Blackjack. In addition, there are a number of variations among them, including Atlantic City, Vegas Downtown, Vegas Strip, Spanish Blackjack, and European Blackjack. Card and table games include Roulette, Blackjack, Baccarat, Craps, Multi-hand and 3 card Poker. Video Poker games have different variants such as Joker Poker, Deuces Wild, and Aces and Faces. Platinum Play casino offers single-hand video poker as well as power video poker with the option of playing multiple hands at a time. Games like Jacks or Better and Joker Poker are only a few of the options to name. There are also quite a few table games. Baccarat and Craps are available, as is Roulette, the latter offering American with double zero and European with only the single zero pocket. The fun also extends to parlour games like Keno and scratch cards. Also enjoy Live Casino at Platinum Play. Enjoy Live dealer games like Blackjack variants, Roulette, Baccarat, Card games and Wheel fortune games like Dream Catcher and more. All the live casino games are powered by Evolution gaming and note to play at live casino you need to make a deposit in real CAD. Many online and mobile players are attracted to casinos based on the promotions that they offer. Platinum Play Mobile understands that and offers some of the best welcoming promotions for new players. As a new player you are offered CAD$800. On each of your first 3 deposits, you’ll receive 100% bonus matches. A minimum deposit of CAD$10 per deposit is required to qualify. Your bonuses will be credited to your account automatically after making your respective deposits. Each month brings new promotions for the players where you can win things such as free spins, casino credits and free entry into one of the tournaments. There is also a promotion that provides rewards for referring a friend to Platinum Play Mobile. You can minimum withdrawal of CA$500. How to get started with cell phone? Getting started with Platinum Play Casino is easy. All you have to do is visit the platinum play casino website with your cell phone mobile browser be it Chrome or Safari by typing the casino URL https://www.platinumplaycasino.com/ and register an account. Once you have a username and password, you can access the games from your mobile device. 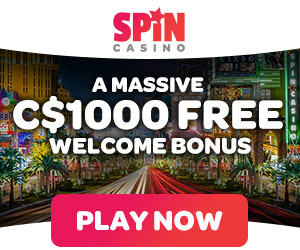 You can fund the casino with cell phone by making Canadian friendly deposits in CAD if you wish to play real money games or else play for free. Any promotional bonuses will be applied to your count as soon as it is funded. Your mobile account will also work the online gaming casino. You can choose how you want to play based on where you are.